It's never too soon to start forming the habits that lead to a successful career. Build a successful career with the industry's most respected global resource. hide Certified Production and Inventory Management (CPIM). hide Certified Supply Chain Professional (CSCP). hide Transportation and Distribution (CLTD). Take a look at the educational opportunities available from APICS to move your career to the next level. These dedicated volunteers bring diverse points of view to the leadership body, and these varied perspectives will drive the strategic direction of APICS in the coming year. APICS El Paso Chapter Board of Directors are committed volunteers and forward-looking leaders who work to connect practitioners, academics, researchers, and consultants in meaningful ways. Rodney is the Plant Manager for Adient, he has worked with tier 1 companies for over 25 years, his experience in lead roles includes, Engineering, Material Supervisor, Projects Management, Materials Management, Master Scheduler, Operations Manager, Plant Manager, and Director of Supply Chain. He has worked for General Motors, Delphi, Lear Corporation, Eureka, Johnson Controls and currently with Adient. Rodney has been with the local APICS Chapter for more than 13 years. Served on Board of Directors since 2003 as President, Vice President, Education Director, and Treasurer. He is a CPIM Instructor and fluent in both English and Spanish. Over 20-year experience in Managerial & Director level positions in Single and Multi-Plant environment, in Automotive, Medical Devices, Electronics, and Defense industries. Strong background in the full Supply Chain - Materials Planning, Inventory Control, Procurement, Logistics, and Distribution. Past member of The Advisory Council in the Department of Information & Decision Sciences of the College of Business Administration, University of Texas at El Paso. Throughout Omar’s career, he can gain hands-on experience on planning, scheduling, purchasing, procurement, for companies such as Flextronics, Johnson Controls, and Eaton among others. He has worked for industries ranging from plastic moulding by injection, metal stamping, assembly lines, electronics manufacturing, Fabrication, flexible PCB printing, SMT medical industry to automotive. Currently he holds positions directly related with the transformation of the end to end Supply Chain, assessing the situation, creating a vision move the cross-functional teams along than path, to achieve both tactical and strategic goals. He has had the opportunity to deliver external consulting services for one of the main consulting firms in the region, recording success on that endeavour. He has served on the Board of Directors for APICS El Paso/Juarez chapter, currently serving as Vice-president for the chapter. Omar has a degree in Mechatronics Engineering from Universidad Autónoma de Ciudad Juarez and fluent in English and Spanish. 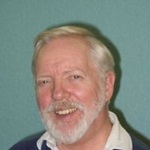 Mr. Chester H. Frame, CPIM, CSCP, is an educator, trainer, seminar presenter and management consultant with experience in implementations and customer support for customers around the world. Chet is the founder and head of Border Business Consultants, a bilingual, international consulting and training firm focused on improving efficiency in Operations Management. Mr. Frame has more than thirty years of hands on experience working in Operations Management and Logistics Management, having worked with companies like Tyco, Thomson Consumer Electronics, Teleflex, Philips, Cummins, Johnson & Johnson, General Electric, Johnson Controls, Delphi, Lexmark, Scientific Atlanta, BRP, 3M, Cardinal Health Care, and Lear. Chet holds a Six Sigma Administrative Green Belt. One of the APICS nationally recognized Master presenters and trainers; Chet trains the trainers and led the TEAM Process in APICS. Chet started learning Materials Management and SPC in the 1970’s while working for a U.S. automotive parts manufacturer. He has used his SPC and Six Sigma skills to improve manufacturing processes and administrative processes. He has applied the techniques to Supply Chain Management with a very high level of success. Chet is certified as a Master Instructor for CPIM, CSCP, and Train-the-Trainer and Learning Dynamics for Instructors. Chet is the President of the El Paso/Juarez Chapter of APICS and is currently serving on the staff for APICS Terra Grande District; Mr. Frame is fluent in English and Spanish. 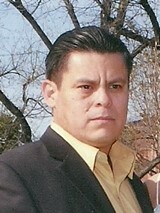 Carlos, began his career in the areas of Accounting 25 years ago, in the private sector, he is expert in Internal controls, Management and Operations, he has worked at Managerial Level, and has held positions as Accounting Manager, Controller, Divisional Controller, Finance Director, General Manager in different Mexico and USA companies. Currently Accounting Manager at Tier1 Taiwanese company Axxion Group Corporation in El Paso, Texas. He is part of the Board of Directors in APICS El Paso/Juarez Chapter, where he is Vice President of MKT and Communications. Member of APICS El Paso / Juarez chapter since 2015. Member of the Texas society of Certified Public Accountants public TACPA since 2012. Carlos Graduated with master's degree in business administration (MBA) From the Universidad Autonoma de Ciudad Juarez (UACJ), with concentrations in Total Quality Management (TQM) and Finance, has a degree in Accounting from the Instituto Tecnologico de Ciudad Juárez (ITCJ). With postgraduate courses in the master of international business. Certificate in accountancy from the University of Texas at El Paso (UTEP); Certificate as Black Belt Lean Six Sigma Professional, and White Belt Lean Six Sigma from the Institute of management and strategy (MSI); currently pursuing a Certification in production and inventory management , fluent in English and Spanish. 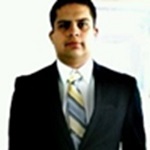 Pablo holds a Degree of Industrial Engineering from Universidad Autonoma de Ciudad Juarez. Currently he is pursuing his certification as a Certified Professional on Supply Management (CPSM) from the ISM institute, and he is fluent in Spanish, English. Supply Chain Professional with more than 20 years of experience. Started at the age of 18 years as a warehouse clerk making his way up Production Control Superintendent at age 21 then to Materials Manager at age 24. Pablo has worked in Fortune 500 Companies such as Honeywell and Lear.He has proven record on getting into companies with supply chain problems turning them into success stories. Pablo received his CPIM & CSCP certifications on 2003 and 2007 respectively and since then he has been involved on the APICS community attending International Conferences and serving on the El Paso-Juarez APICS Chapter Board of Directors. Started to share his knowledge as an APICS instructor on 2015. In the last 2 years Luis obtained CPIM and CSCP certifications, he has been working in the manufacturing-distribution for the healthcare industry for the last 24 years, from materials superintendent, planning superintendent to customer service manager, working with different supply chains, Mexico, Dominican Republic, USA and Singapore-China. He has served on the Board of Directors for APICS El Paso/Juarez chapter the last 2 years. Luis has a degree in industrial Engineering from Instituto Tecnológico de Chihuahua, and fluent in English and Spanish. Victor has over 18 years in fast-paced customer service settings that require research and problem resolution, with strong focus on addressing customer needs, in industries global manufacturing and insurance sales and administration. 11 concurrent years of blended experience in expediting, vendor relations, shipping and receiving, and overall materials management in manufacturing setting, including shipping traffic, inbound paperwork, warehouse operations, inventory control, planning and scheduling of materials for manufacturing operations, and expedition of materials to assure ongoing production operations. Experienced in Customs Trade Partnership Against Terrorism (CTPAT) Security Program, governed by U.S. Customs and Border Protection (CBP) Agency, to monitor U.S. and international supply chains for possible intrusion by terrorist organizations Experience in Inventory Control Supervisor with Express Point technologies. Purchasing and Expeditor with Avon Automotive. District Administrator with Western & Southern Financial Group. Certified in Tax Preparation, Notary Public, Member of EPITA, AAPC, APICS. Currently seeking a degree in Medical Bill Coder At EPCC. Fully bilingual. Diana is the administrator of the courses for the Professional Chapter APICS El Paso / Juarez, she performs the following activities: Monitoring logistics, preparation of manuals, registration of participants and confirmation details with companies. Manage quotations, purchase orders, payments and billing. She is the main contact with over 150 maquiladoras companies for their training needs in the areas of supply chain fundamentals of materials, inventory management and operation maintenance, control and accuracy inventories. Oscar Works as the contact between Professionals and Student Chapters from universities such as UACJ and UTEP. He helps to students to become professional active members of APICS. Oscar worked as a Regional Account manager at Knight transportation, where his main goal was to satisfy Company and Customer's Interest in the Southwest Region. With the new merge between Knight and Swift Transportation, Oscar was promoted as an Area Sales Manager for Swift Transportation. He is currently working in a bi-national business with Transmex in Mexico. Oscar oversees the Southwest region in the US and in Mexico, the state of Chihuahua, Coahuila and Durango. Oscar, holds a Bachelor’s Degree, Operations and Supply Chain Management from the University of Texas at El Paso, He earned a Green Belt certified from the institute of industrial Engineers. Ms. Eva Mata, CPIM, CSCP, is a Certified Master Instructor for CPIM and Certified Associate Instructor for CSCP. Eva has worked for Johnson Controls, Building, Technology and Solutions Group for over 30 years. She began her career in materials management as an Expediter in the purchasing department. Since then she has held positions as Planner/buyer, Master scheduler, Materials Manager, and Supply Chain Manager. She is currently Global Materials Manager for Johnson Controls’ Building, Technology and Services line of business. Eva holds a Six Sigma Green Belt from Johnson Controls. Eva has been involved with the El Paso/Juarez Chapter of APICS since the early 1990s. She received her CPIM designation in 1994 and has been facilitating CPIM courses since 1999. Eva has held several positions on the Board of Directors of the El Paso/ Juarez Chapter, including Vice President and Director of Education. She is currently serving as advisory council for the Chapter. Ms. Mata holds a Master of Business Administration (MBA), Global Management from the University of Phoenix and Bachelor's degree, Business Administration, Management and Operations from Indiana University South Bend, fluent in English and Spanish. Derek’s career began in the consulting area of Operations Research and Corporate Planning in Europe, followed by 15 years with General Tire International in senior management positions in Lebanon, Morocco, Ecuador, Puerto Rico, Mexico and the US. Mr. Osborne also worked with a packaging company and developed distribution of other products into Mexico. Most recently he was the General Manager for a Tyco international subsidiary in Mexico City. Currently Derek is a facilitator at the University of Phoenix online, prepares taxes and advises taxpayers along with facilitating students in the preparation of APICS CPIM and CSCP exams. Derek has a degree in Civil Engineering from The University of Sheffield in the UK, an MS degree in Organizational Development and Management from the Universidad Internacional in Mexico City and an MBA from United States International University in San Diego, Ca. Drawn from all walks of life, we are a great team. #3 Butterfield Trail, Suite 123. Copyright © 2019 El Paso/Juarez Chapter of APICS. All Rights Reserved.